The Office of the Complaints Commissioner is expecting steady growth and improved standards in the service it provides as it celebrates its seventh anniversary. 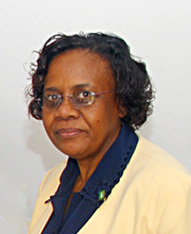 March 3 marks seven years since the office was established and Commissioner Mrs. Sheila Brathwaite has stated that a a full page feature article will be published in local newspapers this week highlighting the accomplishments over the years. The Office of the Complaints Commission has assisted the Deputy Governor’s Office with the development and establishment of an Internal Complaint system and has worked with Her Majesty’s Prison to implement an effective Internal Complaint System for inmates. The office has conducted systemic investigations into the processing of applications for residency and was instrumental in having those applications addressed by the Premier’s Office to obtain a more efficient processing system. The office is also a member of the Caribbean Ombudsman Association of the United Kingdom and the International Ombudsman Institute. Complaints against any Government department or statutory body can be made in writing to the Complaints Commission and uploaded directly to their website at www.ombudsman.vg. Complaints can also be made at the office at #80 Main Street. Persons are encouraged follow the Complaints Commissioner on Facebook. All services are free of charge. The Complaints Commissioner, sometimes called the Ombudsman, offers to the public a channel for raising complaints about maladministration in the public service and statutory bodies. The Complaints Commissioner holds powers to investigate complaints thoroughly and independently and offers an unparalleled ability to get to the heart of any shortcomings within the public sector. Its mission is to receive and deal properly with complaints against government agencies in accordance to the Complaints Commissioner Act 2003.